For more than 30 years, Chesapeake Bay Outfitters has been a pillar of the small but vibrant seaside town of Saint Michaels, Maryland. 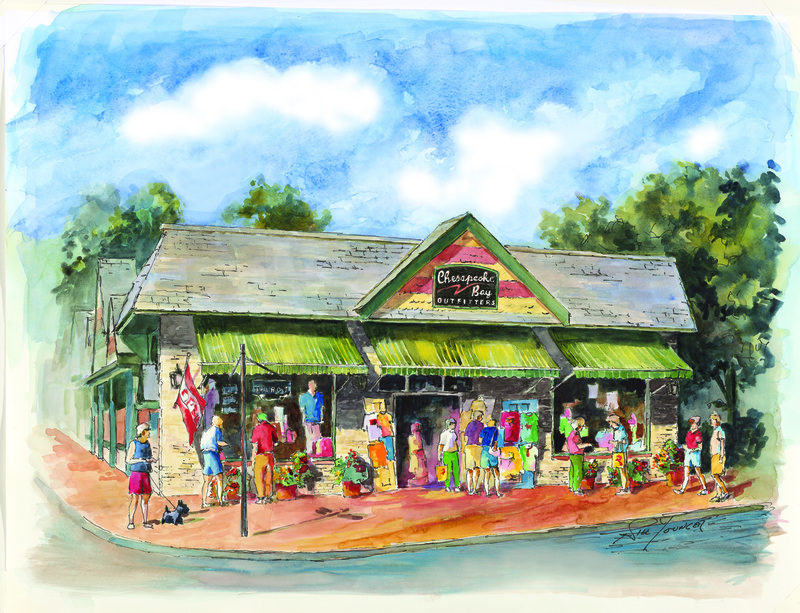 Once a five-and-dime, it has ripened into a multi-faceted men’s and women’s apparel store, catering to the thousands of Eastern Shore tourists who walk through its doors each summer, while maintaining a loyal year-round customer base. Entertaining in grand style and at simple picnics, Chesapeake Bay Outfitters dresses its patrons from the dock to dinner and from the bay to the bar. Despite the store’s solid history, owner Matt Stuart knows that retail is changing. It’s not enough to depend on foot traffic, strong product, and great customer service alone in 2017. Creative marketing, strategic CRM and loyalty incentives, as well as a willingness to adapt are are imperative to today’s retailer, especially for a compact seasonal small business, where every day is a week and every week is a month. As a merchant in specialty retail, you must be nimble and willing to try new things. And as many retailers are learning, you can’t wait for the customer to come to you. Chesapeake Bay Outfitters thrives in its community, with creative marketing endeavors and activity outside of its four walls. The store recently presented the St. Michaels annual Concours d'Elegance fashion show, a tradition that accompanies the town’s annual antique motorcar presentation. “There is something special about taking your message to the people,” says Stuart. “Fashion shows and other live events offer excitement.” Their frequent community engagement fuels brand awareness, drawing in both new and returning customers alike. Launching an online store may sound daunting to a one-location store with a 30-year brick-and-mortar history, but using Springboard Retail POS software for small business, the process becomes seamless with multiple ecommerce platform integrations. Bulk inventory uploads are quick and painless, and thanks to the inventory sync, no separate warehouse is necessary. Sales associates are able to fill online orders in a single step straight from the sales floor, and online metrics can be reported on either separately or in tandem with in-store performance. CBOStyle.com is built on Shopify, a user-friendly solution for their growing—and ever changing—business.